Yes, it's possible to take too much vitamin C. Since vitamin C is water-soluble, as are B vitamins (i.e. excess amounts are excreted and do not accumulate in the body), people sometimes assume there is no harm in taking large doses. However, there are potential short-term and long-term problems with taking high doses (500 to 1,000 mg per day) or very high doses (more than 2,000 mg per day) of vitamin C.
Very high doses of vitamin C are known to cause gastric discomfort and diarrhea, and this is the basis for the current upper tolerable daily intake limit of 2,000 mg for adults. More limited, but concerning, evidence suggests problems with daily doses of just 500 to 1,000 mg of vitamin C. (Keep in mind that the recommended daily intake of vitamin C for adults is only 75 mg to 120 mg, with an additional 35 mg for smokers -- see the RDAs for details). For example, while long-term, low-dose supplementation with vitamin C may help to prevent cataracts, high doses may actually increase the risk. Taking several hundred milligrams of vitamin C daily may also hamper some of the benefits of endurance exercise, as has been found with high doses of other antioxidant vitamins and supplements, such as vitamin E and resveratrol. High doses of vitamin C may also reduce the effectiveness of certain medications, and increase the risk of liver damage when taking high doses of Tylenol. They may also interfere with tests for cholesterol and blood sugar, and for blood in the stool. Individuals prone to developing kidney stones or with defects in metabolizing vitamin C or oxalate should also limit vitamin C from supplements. I developed a kidney stone in 2017- fortunately i was able to pass the stone without too much difficulty. I have taken 1000 mg of Vitamin C every day since I was 25 years old (I am now 70). When I developed the stone i did an internet search and found there is enough controversy with respect to the relationship between large doses of vitamin C and the formation of kidney stones for me stop taking Vitamin C--i no longer take it. People can choose to believe whatever studies they want: there will always be conflicting studies. From a practical standpoint it is not worth taking that risk-- I had always believed in Vitamin C protecting me from colds and felt it acted in some ways like an antibiotic. Perhaps there is some truth to those claims, i do not know: for me, i don't think it is worth the risk to continue taking large doses of Vitamin C---people have to make their own decisions. All this back and forth based on personal experience or opinion, or on one or two studies is not sensible. Anyone seriously interested in the current, collective, medical data on Vitamin C abilities, side effects, and appropriate dosages must read the two outstanding books by Thomas Levy, MD, a cardiologist, on the many, many scientific studies of Vitamin C. It is by far the most studied vitamin. "Curing the Incurable" cites and summarizes over 1200 published scientific references on vitamin C studies. "Stop America's #1 Killer" cites and summarizes an additional 650 published scientific references. on Vitamin C. They are clearly grouped. This is not the opinion of one doctor but the collection and summaries of all these works. I challenge Consumer Lab and all interested parties to read these before commenting further. I am Asian Chinese 58yo male. I have daily taking 6000mg life extension vitamin C, divided in morning 2000mg, afternoon 2000mg and evening 2000mg all after foods more than 2 years. my experience is within this 2 years never cause any fever. before it easily cause fever. I have been taking the same dosage of Vitamin C as the above poster (6,000 mg divided daily) for over 7 years, and about 3,000 mg (divided daily) for approximately 7 years prior. So it had been a total of 14 years (or more). I use a less acidic form (Ester-C) in powder capsules. I have not had the flu or a sore throat or any stomach or intestinal viruses in all these years, although strep throat and various viruses has passed through those in my household. I had a very mild cold 3 times that ended in 24 hours. My cholesterol and other common blood work has not shown any areas of concern at all, nor have I experienced any noticeable negative affects. Just sharing my experience. I read that whole food vitamin C not ascorbic acid is totally safe. I switched to whole food vitamin C which is much safer in larger doses. Ascorbic acid may cause issues as you mentioned. Hi Arlene -- Keep in mind that taking high-dose vitamin C from any type of supplement may cause problems. This is has not been found with vitamin C naturally in foods you eat. Supplements with food-based vitamin C are still supplements, and the form of vitamin C is the same - ascorbic acid. I apologize if another study is the basis for claiming a link between kidney stones and ascorbate. The methodology and subsequent press on the study most often relied on are both bad. The study stated that the stones were most likely formed from calcium oxalate, which can be formed in the presence of vitamin C (ascorbate), but it did not analyze the kidney stones of participants. It inferred type from a different study ascorbate was not studied. This is bad design. Setting design aside, divided 23K Swedish men for 10 years divided into supplement takers and non-supplement takers who took vitamin C. The diet for each group was â€œapproximatedâ€� by loose self-reports. Those who got kidney stones in each group were tabulated; the group that took vitamin C had a greater risk of kidney stones of 147 per 100,000 person-years or 0.15% per year. Given how this study was structured, this value is well inside the error term of the measurements. This noted, I agree with CR's light guidance that those with a tendency to form oxalate stones might want to minimize their intake of supplements and foods that might contribute to the formation of stones. Too much Vit C can be turned into oxalate and increase risk of kidney stones. I have been following the Linus Pauling protocol -- my version -- of daily taking ( l-lysine 2 gm) and a total of 8 gm. of vitamin C ( liposomal 1 gm, buffered complex 4 gm, plain C 3 gm) for one year. The purpose was to relieve attacks of angina --which had been severe, especially at night. I also could not walk one long block without cardiac distress. I HAVE NOT HAD A SINGLE INCIDENT OF ANGINA in almost a year --- improvement started in about the second month of regimen --- and can easily walk /bike ( stationary) for half an hour --- probably more, I will try come spring. Since I have a base line stress test I am EAGER to be tested again (annual check coming soon). The base test had to be stopped,as I developed pain. I expect muscle tiredness will be the only problem this next time. Let me add that I am 81years old, diabetic (1) for 10years. I have not had any problems with this high dosage of vitamin C. Once in a while loose stool ( but I also take magnesium citrate to avoid constipation which had been a life-long problem.) -- but never diarrhea. Hi Marina - We are glad that this seems to be working for you. However, be aware that 75 to 90 mg of vitamin C is the daily requirement for adults (https://www.consumerlab.com/rdas/#VitaminC) and even experts at the Linus Pauling Institute acknowledge that intake of about 400 mg of vitamin C should be sufficient to saturate your blood plasma and circulating cells with vitamin C (http://lpi.oregonstate.edu/mic/vitamins/vitamin-C/pauling-recommendation). You are taking 8,000 mg - 20X that amount. There does not seem to sound scientific basis for doing that, and it could be causing long-term harm. I ran into an issue with too much Vitamin C when I went for an annual physical and my blood sugar test came back high. I am pretty healthy, so this was surprising. I found on consumerlab that taking too much vitamin C can interfere with blood sugar tests, so I had to go back after a few weeks to be re-tested. After I had stopped taking so much vitamin C, my blood sugar tested normal. So for people taking mega-doses of vitamin C, quit taking so much about a week before a medical appointment where blood will be drawn for testing. I take 500mg of vitamin C twice a day. I've don't this for years and haven't had a cold in years. Two weeks ago I ran out of vitamin C, long story. I was without the vitamin for a week, although my one a day vitamin does contain 150mg. I caught a cold, a bad one. It has lasted two weeks and I'm still congested, although I'm back to taking more of the C. My family and I are firm believers in higher amounts of vitamin C daily. I agree with John11561, I too take 1000mg to 2000mg the moment I feel a cold coming on and do this 2 -3 times a day for two to three days. Within that time frame the symptoms go away and I feel fine... no cold. Guess I wasn't in one of those "studies". We were introduced to the idea of mega-dosing vitamin C when it was thought that the reason that plant foods promote health was due to the vitamin. Later it was realised that we drew the wrong conclusion and that plants contain around 10,000 phytochemicals, many of which are now known to activate signalling processes in humans who eat these foods. These signals are necessary for the activation of a whole battery of > 2000 protective genes. These genes include those for antioxidant enzymes, for glutathione synthesis as well as the Phase 2 detoxification enzymes and heavy-metal chelating compounds. The notion that 'free radicals are bad' and 'antioxidants are good' is just too simple and is not supported by the evidence; it is a flawed theory but one which is still part of the conventional wisdom upheld by the supplement industry as a whole. There are now well-designed studies that show that greater than practical dietary doses of antioxidant vitamins such as C and E and others actually mask the signals cells need in order to activate expression of the genes that regulate cell defence mechanisms. One such study by Michael Ristow's group in Germany showed that healthy young men were given an intense exercise programme for a month to see what changes the exercise made to important markers of metabolic syndrome/Type 2 diabetes. Half of the group took 1000 mng vitamin C and 400 IU of vitamin E daily. Perhaps surprisingly, those doing exercise only demonstrated the expected improved markers; the ones on the vitamins showed absolutely no such benefit from the exercise. The mechanism to explain this is considered to be related to the signals cells use to activate their defences; the vitamins blocked those signals. Those who continue to defend the use of megadose antioxidant vitamins must at some time review their thinking. The science to underpin these signalling mechanisms was not known when Linus Pauling developed his theories - he may very well hold a totally different view if he were alive today! Christine-many thanks for your learned opinion, I take it you work professionally in a scientific field. Anyway, I would give my right arm to have you sit in with the likes of Durk Pearson and Sandy Shaw to debate. I do believe no 2 scientists have impacted the world as have they re mega dosages of supplements. Again, thank you! I take large quantities of Vitamin C only at the beginning of a cold. Based on a theory by Dr. Linus Pauling, I take 3 or 4 grams of C, two or three times a day for 36 hours when I feel a cold starting. I haven't had a full blown cold in 20 years. This happens 2 or 3 times a year. Hi John - As discussed in our Vitamin C Supplements Review (see the "What It Does" section at https://www.consumerlab.com/reviews/_/vitaminc/#colds) and the article about Vitamin C on our site (at https://www.consumerlab.com/tnp.asp?chunkiid=21522), studies have not shown that taking vitamin C after a cold begins helps reduce cold symptoms or duration. This is also noted in the information about vitamin C on the website of the Linus Pauling Institute (http://lpi.oregonstate.edu/mic/vitamins/vitamin-C#common-cold-treatment). However, among people undergoing heavy physical stress, such as during a marathon, taking a large dose of vitamin C in advance has reduced the risk of developing cold symptoms. I have an autoimmune disease and have been taking mega-doses for over a year now. The only side effects I have experienced were the occasional diarrhea. When I first started the mega-doses, I orally took 20+ grams per day for a month WITHOUT ANY problems. Eventually, a few very short diarrhea episodes would tell me when my body had had enough. Now, I orally take 6 grams per day without any side effects. I am saying all this because there is research (https://www.ncbi.nlm.nih.gov/pubmed/7321921) that lines up exactly with what I am experiencing. I am curious what consumerlab's opinion is on this research. Hi Doug - We have looked at the study to which you refer. It appears to be based solely on observations published in 1981 by one physician experimenting with large doses of vitamin C on his patients, not a well-controlled study. 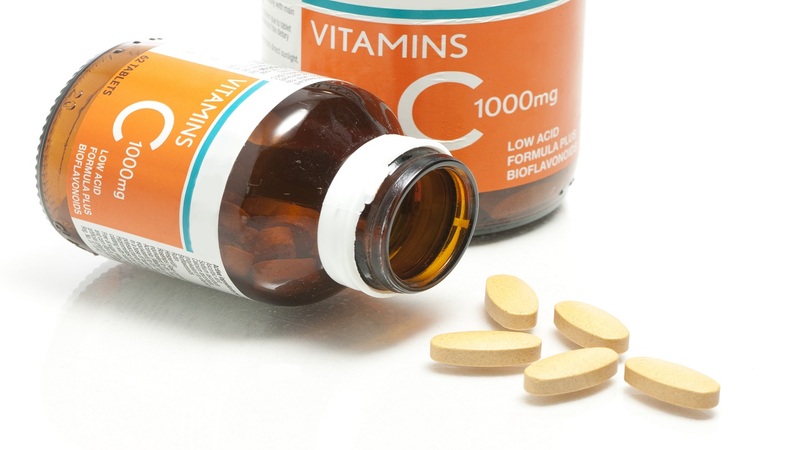 In any event, while it is possible that this regimen may help you tolerate high amounts of vitamin C supplementation, we are not aware of well-controlled studies suggesting that such large amounts of vitamin C are helpful. Thanks for the reply. My understanding then is that what I am doing may in fact be the correct decision, its just that there haven't been any well-controlled studies to verify the veracity of this path/decision/treatment. In other words, I am on my own. Well, not exactly on my own; there a few doctors that support mega-dose vitamin C, with Cathcart being one of them. But, I am OK with this (..."on my own" part). I am currently experiencing greatly improved health without using any prescription drugs. Please know that I am a big fan of your work at consumerlabs and am very thankful for the many details that you publish in your reports. THANK YOU, THANK YOU, THANK YOU! Fair enough, Doug. We wish you well - and thank you for the kind words. What a bunch of Crap!! I take 14k-18k per day for the last 5 years with 0 problems. My kids do as well, not as much as adults, we don't do cold meds or flue shots and are all healthier than our friends and family that doesn't. It's the best thing you can do. Time to quit doing the work for big pharma Consumerlab!!!! Hi Julio - We are glad that you and your children are doing well, but we hope that you will understand that we have no interest in supporting the pharmaceutical industry, or the supplement industry for that matter. Our focus is on providing the best and most up-to-date information to our readers. As explained in the Vitamin C Review, vitamin C is an essential vitamin but taking large doses if you are not deficient has generally not been shown to be beneficial. In addition, even though vitamin C is water-soluble, this does not mean that it does not have negative consequences. In fact, taking a high dose has been shown to negate some of the beneficial effects of getting the daily requirement. I have been very concerned about taking a mega dose of C. I have been taking 8,000-10,000 mg a day and after approx 2 weeks my shingles finally went away and have not returned. I was having shingle outbreaks back to back and read that mega dose vitamin C would help stop them. I am actaully afraid to stop taking the C because the shingles were so bad for so long. Any suggestions? Could you quantify the milligrams which constitute long-term, low-dose supplementation vs high-dose? I've assumed that 10 times (or more) the daily requirement is a megadose - is that what you mean by high-dose? Hi Michael - We've now added information about dosage in the answer above. Too much Vitamin C will also skew a urine test. My endo thought I had a bladder infection because there were WBCs in my urine. In fact, I stopped taking Vitamin C, retested two weeks later, and they were gone. There's a paper about this, but I haven't been able to find it again. This CL Answer initially posted on 6/3/2015. Last updated 12/9/2018.